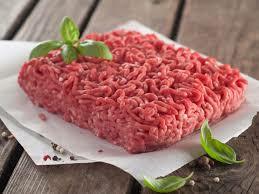 Home > Articles > What to make with ground beef? What to make with ground beef? The ground beef is a jolly ingredient in the kitchen because it lends itself to a thousand uses. It can become the condiment of a first course or the filling of a pie, a pie or a vegetable and a second delicious for the whole family. The best thing about using ground beef? You are going to avoid preservatives and your recipes are going to be healthier and, most of all, you are going to experiment your own recipes adding ingredients and recreating new yummy dishes! To prepare meatballs and meatloaves it is important to choose a ground that has also a little fatty part. Belly and armhole are the best parts to grind the veal, pork is used shoulder and bacon, while for white meat, usually very lean, all parts are fine, but to get soft meatballs you must always add a creamy part of some soft cheese. For a good sauce in general grind beef and pork, while for the hamburger the ideal cuts are the sirloin, the neck and the staple of beef that can also be ground together. Always ask your butcher to grind the meat at the moment both for a question of freshness and hygiene, and because very often the ground coffee is ready made with pieces of mixed meat waste. The minced meat can be kept in the refrigerator for three days at most because it then becomes dark and gets a bad smell. If it is fresh, you can freeze it in special freezer plastic bags or in sealed containers. You can also freeze the meatballs or the meatloaf after preparing the dough. Bolognese, meatballs, and meatloaf are the best-known recipes based on minced meat and we love them because they are very versatile. The white or red meat sauce can be enriched with mushrooms and vegetables and can be made with minced meat. The same goes for meatballs that can have many flavors and can be cooked differently (pan, oven, steam). Bolognese and meatballs are also the favorite dishes for children because the minced meat is tender and tasty and should not be eaten with a fork and knife. Indeed, the smaller meatballs can be eaten even with your hands! the meat must be pressed to form the medallions. For this operation, it is necessary to forget the molds or strange operations with the meat tenderizer: use slightly moistened hands, so that the meat does not adhere to it. Firstly large balls are formed as a generous apricot (if you want to make burgers of the same size you can also use the ice cream spoon to determine the amount of meat) and then lightly press them to flatten them, reaching a thickness of about 2 cm. The operation must be done quickly, to prevent the mixture from heating up and the fat melting. The meat should not be pressed too hard: it takes a right mix so that the hamburger is compact and soft at the same time. Once the hamburgers have been formed, they should be seasoned with salt and pepper and left to rest in the fridge for about 20 minutes, so that they become well flavored. Cooking. Before cooking the hamburgers, it is best to keep them at room temperature for at least 10 minutes, so that the inside is not too cold. The hamburger is passed on a hot plate (or pan), without adding oil, it cooks for about 2 minutes per side and turns only once. Care must be taken not to prolong the cooking too much and above all you must never crush it, to avoid losing the juices. Better to avoid cooking over high heat: it may be too aggressive, quickly cooking the outside and leaving the inside completely raw. In practice, the more the cooking is gradual and homogeneous, the better the result will be. The cooking level can also be chosen according to personal taste: just as happens with the fillet, you can opt for blood cooking (here we mean a rosy interior), demi and well cooked. In our opinion, however, the virtue (hamburger) is in the middle: so with a uniform and not excessive cooking, the meat gives its best.